This year has been the year of programmatic. Your coworkers talk about it, you’ve seen it on almost all marketing websites you visit, you’ve heard the term so many times but you still don’t really know what it means. Programmatic buying has been growing so fast that eMarketer predicts that advertisers in the US will spend $3.36 billion on “real-time bidding” this year. But what does Programmatic really mean and why has it been growing so fast? 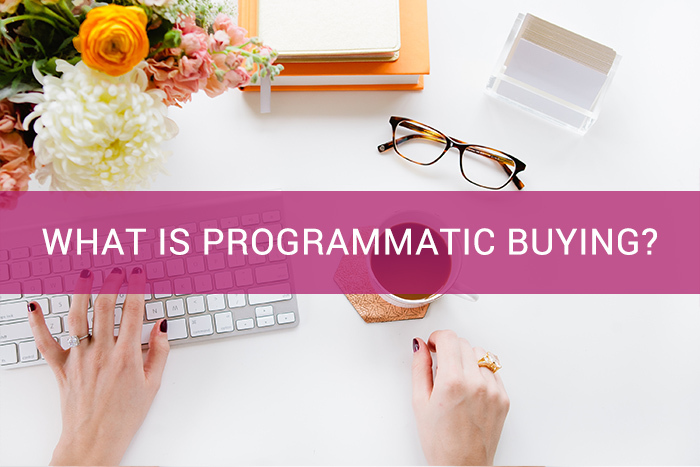 To put it in simple terms, programmatic is where ads are bought similar to how products are bought on Ebay. The ads are bought and sold by auction base – the buyer will pay whatever price an ad is worth at a given moment. As advertisers know, they need to use the right message at the right place at the right time to reach the right customer to win the sale. As we continue to innovate and change with the ever-changing advertising world, programmatic buying is about placing the power back into the hands of brands. By using marketing metrics and demographics, brands and marketers can automatically bid on impressions of only the relevant prospects. This means greater efficiency for their campaigns, as they are wasting less money on people who may not be interested in their products or services and investing it back into those who are more likely to interact with their company. Some argue that Programmatic means getting rid of all digital paperwork. It can be as simple as choosing an ad and clicking a button. Let’s go back to the Ebay analogy. Programmatic shouldn’t be about selling anything to anybody, it should be about selling wedding invitations to brides-to-be, for example. Someone wanting to buy 500,000 ad impressions aimed at brides-to-be in Q3 can just ‘click here’. Sounds simple, right? As you can see, there are a lot of definitions and nothing is set in stone. The important thing is to think about Programmatic as an easier way to help you target your prospects. Many agencies don’t take full advantage of this powerful weapon because they are not aware of its benefits. Programmatic buying uses data, tech and software for getting more for every dollar spent, thus strengthening the engagement potential of ads. For more information, feel free to contact BrideClick at [email protected]!